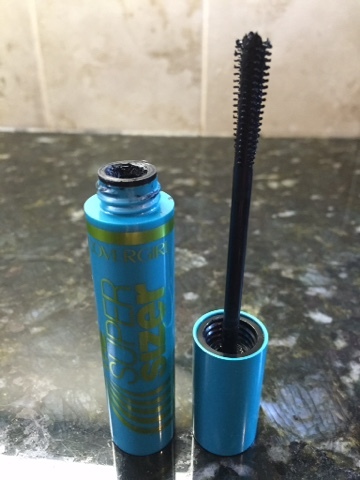 I was sent the Covergirl The Super Sizer by LashBlast Mascara in a recent #VoxBox from Influenster to test out. I am pretty picky about mascara. I have naturally longer curled eyelashes, and lots of mascara just doesn’t do much for me. I usually fall for lengthening formulas. You know the ones…They normally have “False Lash Effect” or “Falsies” somewhere in the name and/or description. Although I’ve never worn false eyelashes, I love the look! When I opened up this tube of mascara, I was a bit skeptical of the wand. It is very thin with short plastic-y bristles and a few longer ones at the end on 2 sides. The whole premise behind it was to sort of roll the wand as you run through your lashes – kind of what I imagine the Roller Lash by Benefit is like. I’ve yet to try that one though. I am just so used to the massive fiber wands that I found it hard to believe it would do much of anything. I love trying out new products, so I put the Super Sizer to the test. The first time I applied it, I was amazed! My lashes were long and separated! I couldn’t believe all of that had come from such a scrawny wand. I have used it everyday since and find myself reaching for it as my ONLY mascara for travel. This was not a waterproof formula, but it stayed all day and didn’t flake. It isn’t too wet or too dry either – it’s just right. High end products can be really nice, but I just can’t condone high end mascaras when there are drug store ones out there that are this good! Way to go Covergirl. I will definitely be picking this one up myself when this one a goner. 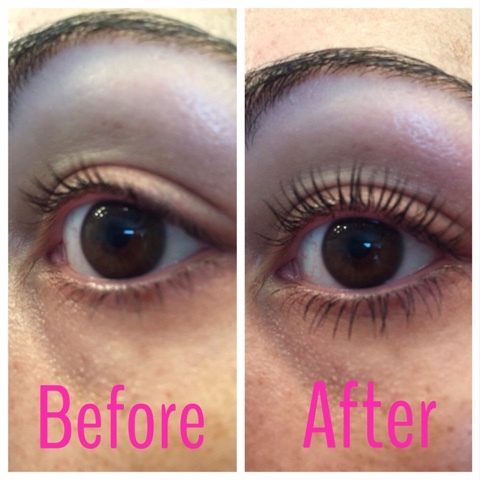 Thanks to Influenster for sending the mascara to me to review! Just know that I was not asked to write a blog post about this product. It was just THAT. GOOD. Next Post My 100th Blog Post!